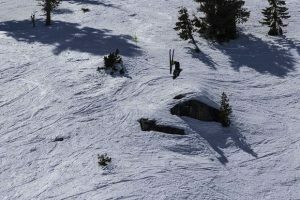 The ninth annual Pain McShlonkey Hot Dog Downhill was held at Squaw Valley Alpine Meadows on Saturday, March 23. 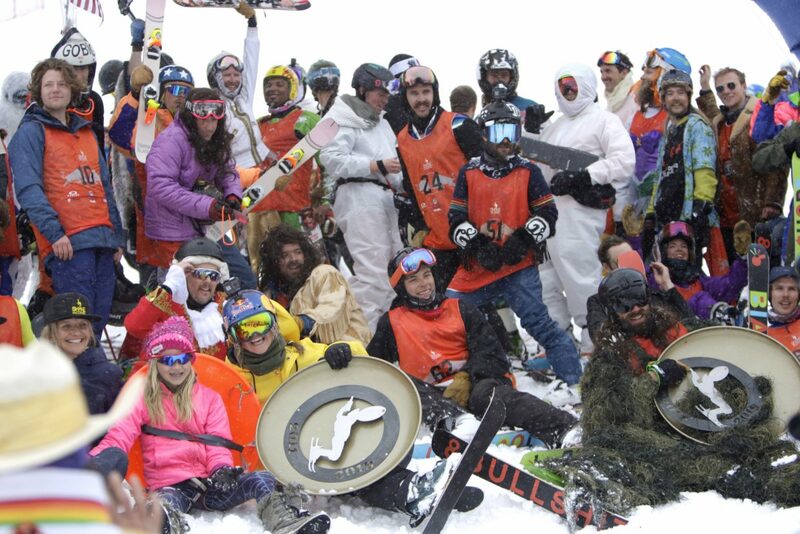 Dressed in everything from a Sasquatch outfit to a skier with deer antlers on his helmet, some of the Truckee-Tahoe area’s best winter athletes gathered at Squaw Valley Alpine Meadows this morning in celebration of the legacy of ski legend Shane McConkey. 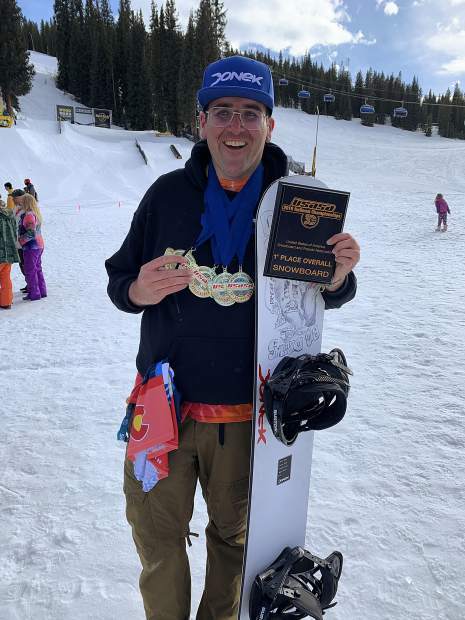 JT Holmes, Bryce Bennett, and Nate Holland were among some of the pros competing in the ninth annual Pain McShlonkey Hot Dog Downhill — a race down KT-22 on snowblades — but none could outduel local skier Ben Paciotti, who topped the field of athletes to capture the coveted Pain McShlonkey Golden Saucer. 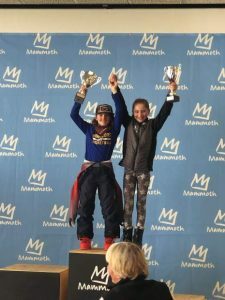 On the women’s side, local pro Michelle Parker came around the final corner ahead of the field of female racers and dashed up the hill to the finish line for a first-place finish. 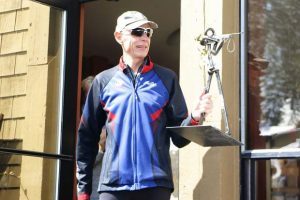 The victory was Parker’s first in three Pain McShlonkey races. 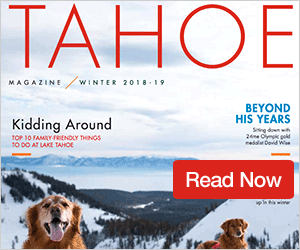 The annual event at Squaw pays homage to Shane McConkey, whose jaw-dropping style on the mountain was featured in 26 ski movies during his career. McConkey died in 2009, while executing a ski-BASE jump in Italy. He was 39.